Implant Surgery - Level 2 is organized by Gordon J. Christensen - Practical Clinical Courses and will be held from Apr 26 - 27, 2019 at Provo, Utah, United States of America. This CME Conference has been approved for a maximum of 15 CE hours. Conference Description: This intense hands-on, two-day course is designed to provide adequate background, education and training for dentist participants to be able to place implants in healthy patients with adequate bone. Placing implants in healthy patients with adequate bone, and even those who require some bone grafting, is relatively simple, enjoyable, and profitable! It should be a part of the practice of any interested dentist. This course is oriented toward those dentists who have had a moderate level of surgical experience, enjoy it, and want to increase their knowledge and clinical skills in placement of implants. The following and other topics are included in the course : • Diagnosis and treatment planning for implants vs. conventional restorative prosthodontic services. • Practice management related to implant placement. • Indications and contraindications for implants. • Essential oral anatomy. • Evaluating when implant placement requires bone grafting. • Bone grafting materials and techniques. • Simplified sinus lift procedures. • Comparison of implant companies. • Implant placement techniques. • Actual placement of implants in dentoforms. • Related prosthodontic materials and techniques. Conference Objectives are: • Determine and prioritize in which clinical situations implants are needed. • Determine which clinical situations are within the range of their capabilities, and which require referral to appropriate specialists. • Discuss the important physical heath requirements, oral clinical requirements, and patient psychological requirements for implant placement. • Discuss the relationship of oral anatomy to implant placement. • Describe bone types appropriate for implant placement. • List steps and equipment and supplies necessary for patient education and adequate diagnosis. • Describe adequate radiographs for simple implant placement. • Discuss and compare the popular types of root-form implants. • Relate the implant types and sizes to the amount of bone necessary for implant placement without grafting. • Describe and list the requirements for emergency equipment when placing implants. • Discuss surgical principles related to implant placement. • List appropriate dentist and staff responsibilities for implant placement. • Discuss appropriate operatory set-up for implant placement. • Describe necessary anesthetic procedures, analgesics, and antibiotics. • Describe and list typical surgical equipment and instrument needs. • List the steps, techniques, and instruments needed for typical root-form implant placement, including soft-tissue management, osteotomy, implant placement, grafting if necessary, one appointment or two appointment surgery with implant exposure, loading of implants, implant maintenance. • Describe implant failures and how to prevent them. • On returning home, place implants in healthy patients who have adequate bone. • Have the desire for further education/training in implant dentistry. Additional details will be posted as soon as they are available. Restorative Dentistry 2 - Fixed Prosthodontics is organized by Gordon J. Christensen - Practical Clinical Courses and will be held from May 10 - 11, 2019 at Provo, Utah, United States of America. The target audience for this medical event is Dentists. This CME Conference has been approved for a maximum of 15 CE hours. Conference Description : Our goal is to help you make fixed prosthodontic procedures faster, easier, and more predictable! 30% of your practice revenue is fixed prosthodontics. You cannot find a more practical, immediately useful course than this one. Go home with the most updated knowledge on : • Easy, fast preps. • The best build-up techniques. • The strongest and fastest posts and cores. • Selecting and getting the most from your cements. • Proven all-ceramic crowns and bridges. • Excellent, fast provisional. • Obtaining optimum treatment plan acceptance. Conference Objectives are : • Describe the criteria that necessitate crowns and fixed prostheses. • Describe when a tooth should be extracted versus restored. • Describe how to accomplish ridge augmentation. • Describe conservative periodontal therapy. • Describe an adequate endodontically treated tooth for fixed prosthodontics. • Discuss when implants are preferred over fixed prostheses. • Describe preoperative tooth bleaching. • Describe criteria related to adequate natural tooth remaining for crowns and fixed prostheses. • Describe and place fillers, build-ups, and post and core. • Discuss the various methods for soft-tissue management. • Compare shade selection techniques. • Discuss, draw, and accomplish tooth preparations for PFM & all-ceramic crowns on anterior and posterior teeth. • Discuss high-tech for fixed prosthodontics. • Discuss how to make perfect impressions. • Discuss and accomplish an adequate interocclusal record. • Discuss the best provisional restorations for single to multiple teeth. • Describe the best methods for working casts and dies. • Describe how to achieve excellent lab/dentist interaction. • Discuss need for articulators and face bows. • Compare metals for fixed prostheses. • Compare current brands of all-ceramic restorations. • Describe how to avoid pulpal damage. • Discuss several methods to salvage crowns and fixed prostheses. • Describe how to surgically repair gingival recession. • Discuss practice management and fees for fixed prosthodontic services. Additional details will be posted as soon as they are available. Implementing Cone Beam Imaging into Your Dental Practice is organized by Gordon J. Christensen - Practical Clinical Courses and will be held from May 24 - 25, 2019 at Provo, Utah, United States of America. This CME Conference has been approved for a maximum of 15 CE hours. Conference Description: Cone beam radiology has made a significant, positive contribution to the ability of dentists to diagnose and treat many conditions and to plan pre-surgical procedures more precisely. Clinical problems previously not appreciated using 2D radiography are now visualized with 3D radiography facilitating better diagnosis and treatment. However, understanding and interpreting CBCT images requires additional education and experience. This two-day, hands-on course is designed to provide overall knowledge about cone beam radiology, a comparison of the many devices currently available, and how to interpret the scan data. Conference Objectives: At the completion of this course, participants should be able to: • Define and discuss CBCT imaging • Discuss advantages and disadvantages of this technology • Compare various current CBCT machines • Identify anatomy found in CBCT images • Interpret common reportable findings occurring in CBCT images • Make clinical decisions on how to implement cone beam into their practices Additional details will be posted as soon as they are available. Oral Surgery Secrets is organized by Gordon J. Christensen - Practical Clinical Courses and will be held from Jun 14 - 15, 2019 at Provo, Utah, United States of America. This CME Conference has been approved for a maximum of 15 CE hours. Conference Description: Accomplish “surgical” extractions, socket grafting, impactions, multiple extractions, and other surgery procedures faster and more predictably with less worry. This popular hands-on oral surgery course presents new instruments and techniques that increase efficiency while conserving buccal bone for the sake of future implants and more esthetic bridges. Similar procedures that use many of the same instruments are included. Dr. Koerner incorporates the following information for one of our best hands-on courses: • Several options for successful socket grafting • Removal of impacted wisdom teeth in younger patients • Local anesthetic concerns • Multiple extractions and ridge prep for dentures • One-drug oral sedation for easier surgery • Oral cancer detection including scalpel biopsy • Prevention and management of complications such as bleeding, infection, root retrieval, sinus issues and others • Selecting cases appropriate for your ability • Oral anatomy as it pertains to dento-alveolar surgery Conference Objectives: At the completion of this course, participants should be able to: • Identify surgery cases that they can successfully undertake • Perform surgery cases according to accepted "standards of care" • Recognize patients who should be referred to specialists • Avoid common drug reactions and interactions • Differentiate between adequate and inadequate radiographs • Identify key anatomic entities that impact dentoalveolar surgery • Prevent or manage maxillary sinus problems • Avoid tuberosity fractures • Greatly minimize the possibility of injury to the lingual and inferioralveolar nerves • Select bone grafting materials that are most appropriate to future treatment of a given area • Describe the use of surgery instruments that are most effective at accomplishing the procedure at hand • Remove moderately impacted third molar teeth • Discuss the management of various health conditions, such as patients on anticoagulants, bisphosphonates, and those with diabetes Additional details will be posted as soon as they are available. Restorative / Implant Dentistry 3 is organized by Gordon J. Christensen - Practical Clinical Courses and will be held from Jul 19 - 20, 2019 at Provo, Utah, United States of America. The target audience for this medical event is Dentists. This CME Conference has been approved for a maximum of 15.00 CE Hours Credits. Course Description: Complex rehabilitative needs, with and without overlying occlusion problems, are present in many of your patients. Are you ready to treat them? This presentation provides in-depth discussion and observation of many such patients treated by Gordon. The following aspects of oral rehabilitative care are included: simplifying diagnosis and treatment planning; if, what, and when to refer to other practitioners; integrating fixed, removable, and implant prosthodontic procedures; optimum use of staff; post-treatment follow-up and repair; and long-term maintenance of rehabilitative dentistry patients. Diagnosis and treatment of the following six conditions of occlusion are included: primary occlusal trauma; secondary occlusal trauma; clenching; bruxism; temporomandibular dysfunction, and abfractions. Course Objectives: • List and compare multiple treatment plans for complex cases requiring any or all areas of dentistry • List the steps in typical treatment plans for various treatment alternatives • Discuss and compare treatment plans with and without implants • Determine when to refer patients for necessary specialty treatment • Discuss accomplishing complex treatment over a period of years to maximize third-party benefits • Discuss differences in planning and treatment for complex cases vs. single tooth restorations relative to periodontal status, attitudes about dental therapy, occlusion, articulators, build-up concepts, posts and cores, tooth preparations, metals, ceramics, cements, preventive concepts, and long-term follow-up • List the characteristics of adequate informed consent • Discuss ways to increase patient acceptance of treatment plans • Discuss tooth preparations for complex cases Compare implant types for typical complex cases • Discuss use of implants for single tooth restorations, multiple tooth restorations, and implants combined with natural teeth • Discuss use of implants with removable partial and complete dentures • Discuss when to use small-diameter implants vs. conventional or wide-body implants • Discuss the influence on treatment plans caused by clenching, bruxism, primary and secondary occlusal trauma, abfractions, and TMD • Discuss practice management concepts related to complex dentistry Additional details will be posted as soon as they are available. Restorative Dentistry 1 - Operative/Esthetic/Preventive is organized by Gordon J. Christensen - Practical Clinical Courses and will be held from Aug 30 - 31, 2019 at Provo, Utah, United States of America. The target audience for this medical event is Dentists. This CME Conference has been approved for a maximum of 15.00 CE Hours. Course Description: Practical, easily implemented esthetic procedures remain in demand! Patients are actually more interested in moderate-cost esthetic procedures than they were in the past. See, use, evaluate and take home the newest, best, highly essential restorative materials and techniques. Gordon will help you increase your expertise in all phases of esthetic restorative dentistry and show you how to be more profitable in your everyday dental procedures. Actually, use the respective materials while completing the hands-on portions of the course, make your own conclusions, and take home many complimentary material samples. This practical course is guaranteed to make your esthetic restorative procedures enjoyable, gratifying, and profitable. Course Objectives: • Decide which esthetic restorative procedures to include in your practice Class II resins – predictable, non-sensitive, fast, profitable, and easy • Tooth-colored inlays & onlays, both laboratory made and in-office milled. 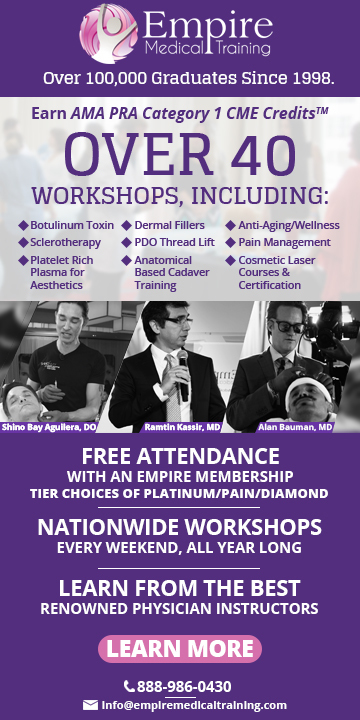 Learn high-quality techniques and how to receive optimum third-party and patient payment! • See and use the best new fast curing lights • Zirconia-based and full-contour zirconia restorations – are they working? • Lithium disilicate crowns (IPS e.max) – are they the future? • Effective, profitable preventive procedures and how to implement them • New caries-detecting devices – which are the best? • Optimum and expanded use of staff in esthetic restorative procedures Additional details will be posted as soon as they are available. Implant Surgery - Level 1 is organized by Gordon J. Christensen - Practical Clinical Courses and will be held from Sep 20 - 21, 2019 at Provo, Utah, United States of America. The target audience for this medical event is Dentists, Prosthodontists. This CME Conference has been approved for a maximum of 15.00 CE Hours. Course Description: Integrating implant surgery into your practice is not difficult or threatening, and it will certainly be a positive and profitable change in your professional life. You undoubtedly already have implant prosthodontics in your practice, and this course will update and enhance your prosthodontic skills. Primarily, the course emphasizes surgically placing small-diameter implants (1.8 to 2.9 mm in diameter) in edentulous and partially edentulous patients and placing conventional-diameter implants (3mm and larger in diameter) in healthy patients who do not require bone grafting. The course includes: • Differential diagnosis and treatment planning for small-diameter and conventional-diameter implants • Anatomy essential for implant placement • Equipping your office and educating your staff for implant placement • A comparison of implant companies • Techniques for placing implants • Actual placement of implants in dentoforms • Related prosthodontic materials and techniques Behavioral Objectives : At the completion of this course participants should be able to: • Describe the overall need for root-form dental implants • Discuss patient health characteristics necessary for uncomplicated placement of small-diameter implants(SDI) • Discuss the types of clinical indications that are best for SDI • Discuss oral anatomy related to implant placement • Describe the various types of bone in the oral cavity • Describe needed radiographs for implants • Compare clinical techniques for conventional-diameter implants with SDIs • Describe the quantity of bone needed for conventional root-form implants (> 3mm in diameter) • List and compare implant companies • Describe the clinical procedure for placement of conventional-diameter implants • Describe the clinical procedure for placement of SDIs • Discuss use of SDIs for complete and partial dentures, fixed-partial dentures and as single tooth abutments • Place SDIs Additional details will be posted as soon as they are available. Restorative Dentistry 2 - Fixed Prosthodontics is organized by Gordon J. Christensen - Practical Clinical Courses and will be held from Oct 04 - 05, 2019 at Provo, Utah, United States of America. The target audience for this medical event is Dentists, Prosthodontists. This CME Conference has been approved for a maximum of 15.00 CE Hours. Course Description: Goal is to help you make fixed prosthodontic procedures faster, easier, and more predictable! 30% of your practice revenue is fixed prosthodontics. You cannot find a more practical, immediately useful course than this one. Join Gordon for this popular “bread and butter” hands-on course and increase your quality and quantity in fixed prosthodontic procedures. Many participants report that after attending this course, they have enhanced their fixed prosthodontic quality, doubled their fixed prosthodontic activity and increased practice enjoyment. Go home with the most updated knowledge on: • Easy, fast preps • The best build-up techniques • The strongest and fastest posts and cores • Selecting and getting the most from your cements • Proven all-ceramic crowns and bridges • Excellent, fast provisional • Obtaining optimum treatment plan acceptance Course Objectives: • Describe the criteria that necessitate crowns and fixed prostheses • Describe when a tooth should be extracted versus restored • Describe how to accomplish ridge augmentation • Describe conservative periodontal therapy • Describe an adequate endodontically treated tooth for fixed prosthodontics • Discuss when implants are preferred over fixed prostheses • Describe preoperative tooth bleaching • Describe criteria related to adequate natural tooth remaining for crowns and fixed prostheses • Describe and place fillers, build-ups, and post and core • Discuss the various methods for soft-tissue management • Compare shade selection techniques • Discuss, draw, and accomplish tooth preparations for PFM & all-ceramic crowns on anterior and posterior teeth • Discuss high-tech for fixed prosthodontics • Discuss how to make perfect impressions • Discuss and accomplish an adequate interocclusal record • Discuss the best provisional restorations for single to multiple teeth • Describe the best methods for working casts and dies • Describe how to achieve excellent lab/dentist interaction • Discuss need for articulators and face bows • Compare metals for fixed prostheses • Compare current brands of all-ceramic restorations • Describe how to avoid pulpal damage • Discuss several methods to salvage crowns and fixed prostheses • Describe how to surgically repair gingival recession • Discuss practice management and fees for fixed prosthodontic services Additional details will be posted as soon as they are available. Oral Surgery Secrets - Level 2 is organized by Gordon J. Christensen - Practical Clinical Courses and will be held from Oct 18 - 19, 2019 at Provo, Utah, United States of America. This CME Conference has been approved for a maximum of 15.00 CE Hours. Course Description: Are you removing some third-molar impactions? When and at what age should impacted third molars be removed and when should they not be removed? When and how do you do an operculectomy? When should there be a coronectomy? Should you have a cone beam CT? When and how do you make the incisions, and should there be a release incision? If so, where? What are the potential clinical challenges? These are some of the questions answered by Dr. Koerner in this course. 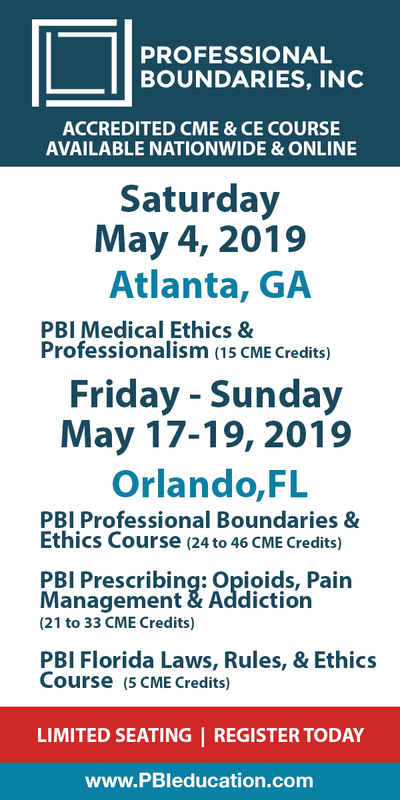 If you want to include these procedures in your practice, join us to learn the principles and procedures and how to perform them according to established standards. Dr. Koerner shares how to evaluate indications for third-molar removal, potential difficulty, and successfully treat in your practice or refer if needed. For many years, Dr. Koerner has written books and articles, filmed instructional videos, and taught hands-on courses on third-molar surgery. His courses have been immensely popular with PCC participants. We are excited to include this all-new course for any practitioner looking to expand or perfect the oral surgical procedures offered in his or her practice. Course Objective: At the completion of this course, participants should be able to: • Determine whether or not impacted third molars need treatment and which treatment is most appropriate. • Determine which third molars needing removal are within the operator’s clinical ability and comfort zone. • Describe how to remove upper or lower third-molar impactions step-by-step. • Describe potential surgical complications and how to avoid them or manage them in the proper manner. • List advantages for early removal of third molars (ERTM) when they are easier and have fewer complications. Additional details will be posted as soon as they are available. Creating Endodontic Excellence is organized by Gordon J. Christensen - Practical Clinical Courses and will be held from Oct 25 - 26, 2019 at Provo, Utah, United States of America. This Conference has been approved for a maximum of 15 CE hours. Course Description: Predictably successful endodontics is dependent on shaping canals, 3D cleaning, and filling root canal systems. Evidence-driven techniques will be presented to demonstrate each procedural step that comprises start-to-finish endodontics. Specifically, this lecture will focus on those factors that influence success, including endodontic anatomy, pulpal breakdown, access cavities, glide path management, working length, shaping strategies, 3D cleaning, and filling root canal systems. Dr. Ruddle will teach the most recent advancements and proven techniques that serve to guide each endodontic case toward a predictably successful conclusion. At the conclusion, participants should be able to: • Appreciate the role endodontic anatomy plays in treatment success. • Understand how a mechanical strategy influences negotiating and shaping canals. • Identify the most proven methods to 3D clean and fill systems. Additional details will be posted as soon as they are available.